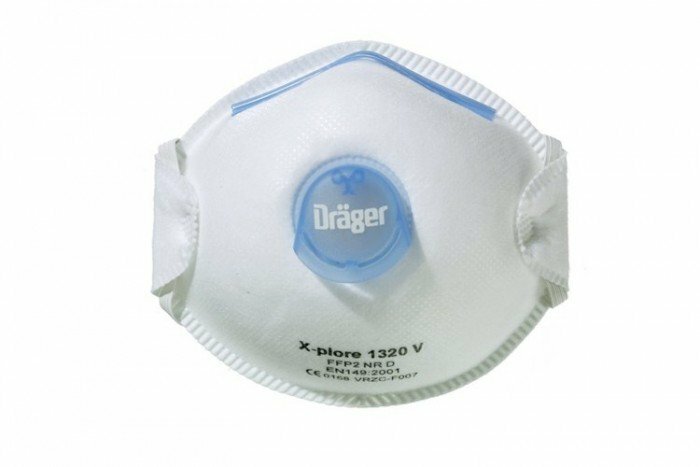 Drager Safety offer the X-plore 1320 disposable face mask for protection against solid and liquid particles (class 2). This means the mask is suitable for applications including the sanding and woodcutting of hardwood and softwood. 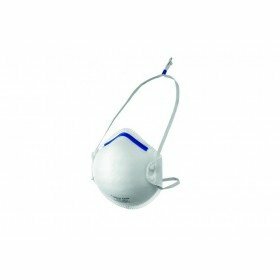 The X-plore 1320 FFP2 is a specially designed disposable face mask from Drager Safety. It’s ideal for applications including sanding and woodcutting of hardwood and softwood and also painting with water-soluble paints. The masks come in a universal size and come in a pack of 10 individually packed pieces. This particular mask also comes with a CoolMAX Exhalation Valve which is designed to guide any hot, exhaled air out from the mask. This helps the user stay cool and enjoy a high level of breathing comfort. Another feature of the X-plore 1320 which is designed for comfort is the VarioFLEX head harness with EasyStop function. The head harness is made from a robust, tear-proof textile strap. The harness can be easily put on and taken off and can be done so without any hair entanglement. The EasyStop feature also means the disposable mask can be adjusted to fit various head sizes.